1722 Saulter Rd, Homewood, AL.| MLS# 819336 | Richard Jacks UABLIVING.com 205-910-2297 | Birmingham AL Real Estate | Contact us to request more information about our Homes for Sale in the Birmingham AL area. 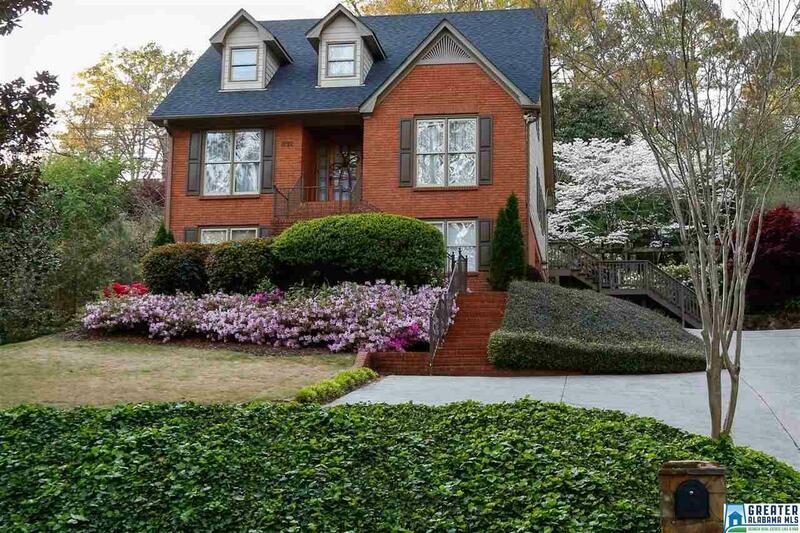 COMPLETELY updated home in the Heart of Homewood. Truly move in ready. Hardwood floors throughout the entire home. Whole house completely remodeled, updated kitchen, new appliances, designer colors throughout. Inviting family dining w/updated chandelier. Updated Kitchen w/great storage, granite countertops, tile backsplash. 2 Bosch Dishwashers. Family room has wood burning fireplace, ceiling fan, opens into the sunroom w/tile floors which overlooks beautifully landscaped backyard w/decks & stone patio, concrete pergola & original working stone grill. Spacious master suite w/completely updated bath w/granite double vanities & customized walk-in closet. Upstairs there are 4 spacious bedrms w/hard wood floors. The bathrm is completely updated with designer tile, marble countertops, double sinks. Tub has subway tile surround. A finished floored, walk-in attic. Lower level features media rm w/built-ins & full bath w/handicap accessibility. Uncertified reinforced storm rm. Driving Directions: From Hwy 31 Turn Onto Saulter Rd. House Will Be On The Right.